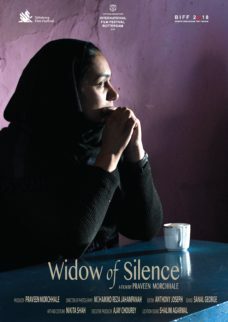 In a conflict ridden Kashmir, a Muslim half-widow – a woman whose husband who has disappeared – finds herself, her 11 year old daughter and ill mother-in-law in a crisis when she attempts to get her missing husband’s death certificate from the government. Now she will have to find the strength to come out from an unthinkable and absurd situation. Combining a visual style which is calm and meditative with a story of kafkaesque bureaucracy Praveen Morchale’s third film builds to a stunning climax – both ironic and terrifying.